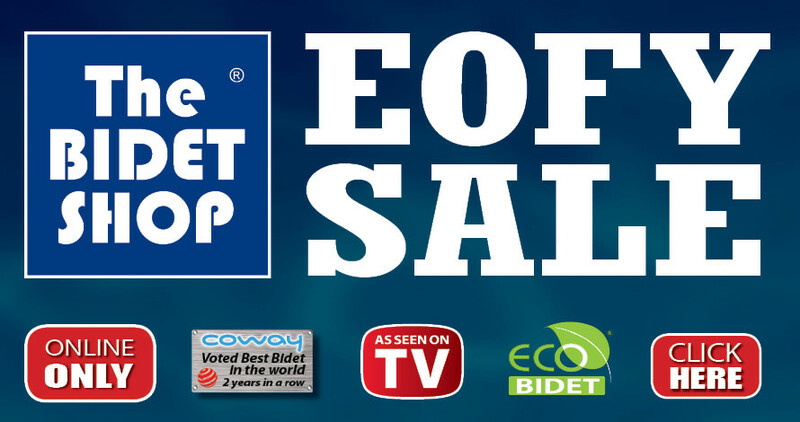 Have a rippa of a bidet deal this end of financial year EOFY by getting the below bidet deals all the way up until June 30th Midnight or while bidet stock lasts. Don't miss out on these crazy bidet specials as we must clear bidet stock before this end of financial year EOFY and we are passing the savings onto you. The reason we offer this unbelievable bidet discounts is due to the fact that we have lots of stock and the manufacturers approved the extra saving for this month only. Below you will find the best EOFY bidet deals on the market when you purchase online, if you want a bidet for your bathroom NOW is the time to BUY One. It is again that time of the year, it is the EOFY ( End of Financial Year ) when everybody is rushing to spend money on the best discounts they can get. Here at TBS we decided to really make this month one of the best months of the year and offer our customers unprecedented discounts and specials when they use the above coupons . In order to save money and obtain the discounts we menation above you need to use the coupon code listed when you purchase that specific bidet model. if you have any issues purchasing our bidets online please contact us using the Contact Us page on our website.